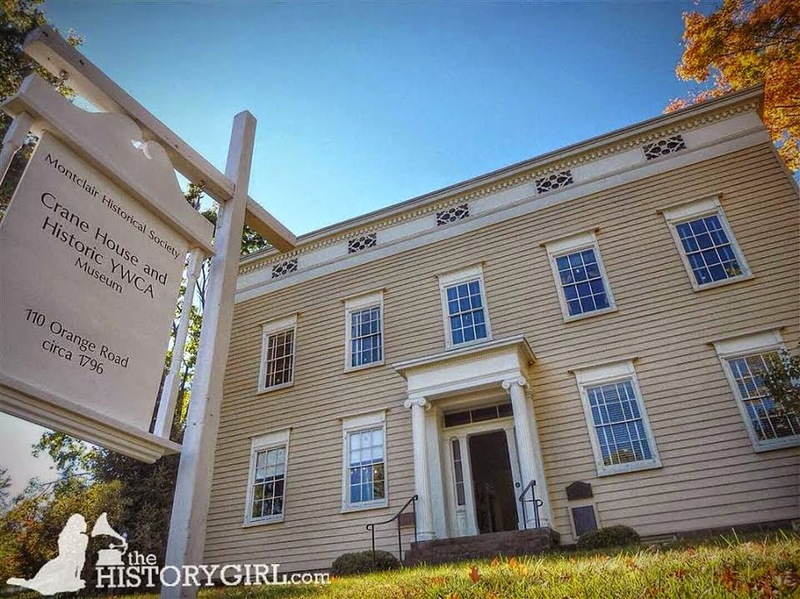 NJ Weekend Historical Happenings: 3/19/16 - 3/20/16 ~ The History Girl! Talks on archaeology at the Lazaretto in Philadelphia, the origins of the Munsee, Hurricane Sandy archaeology, and Native American tools in Cumberland County will take place at 1:00 pm at the Tulpehaking Nature Center (John A. Roebling Park), 157 Westcott Avenue, Hamilton, NJ. The program is free and open to the public. Please see www.mercercountyparks.org/parks/john-roebling-park-at-abbott-marshlands for directions. Parking is located in the lot near the Watson House, on the right just before the road descends downhill. Free and open to the public. For more information, visit www.asnj.org. On Saturday, the Tuckerton Historical Society presents a lecture on the Great Depression. Drawing on old letters and diary entries, Steve Dodson will give a talk on Tuckerton during the Great Depression. It is his contention that people were not always greatly depressed. This presentation will be held from 2:00 - 4:00 pm at the Giffordtown Schoolhouse Museum, 35 Leitz Blvd., Little Egg Harbor, NJ. For more information, call 609-294-1547 or visit www.tuckertonhistoricalsociety.org. Usher in the spring at the Passaic County Historical Society. On Saturday, the museum is offering a free craft activity for children, from 1:00 - 4:00 pm. Join us at Lambert Castle (home of the Passaic County Historical Society) at 3 Valley Road, Paterson NJ, and make spring baskets with construction paper. Recommended for children ages 4-10 years of age. This activity is free with regular museum admission. The activity will be ongoing throughout the museum's open hours. For more information, call 973-247-0085 or visit www.www.lambertcastle.org. As late as 1872, women were still denied the right to practice law in the United States. By 1884 they were given part-time, token judgeships, usually at the municipal level. It took another 97 years for the first appointment of a woman to the United States Supreme Court. That was a total of 191 years after the founding of the Supreme Court itself! Four magnificent women have achieved the position of Supreme Court Justice to date. Join Trish Chambers Productions and the Meadows Foundation in a fascinating introduction to these accomplished jurists. Meet Sandra Day O'Connor, Ruth Bader Ginsburg, Sonia Sotomayor and Elena Kagan. Learn how their unique personality and determination enabled them to break the glass ceiling to take their place in history, as they vote to clarify the intentions of the founding fathers regarding the United States Constitution. 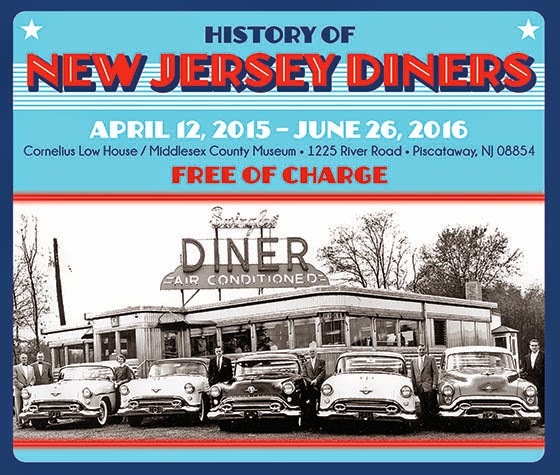 Event to be held Saturday from 2:00 - 4:00 pm at the Van Liew-Suydam House, 280 South Middlebush Road, Somerset, NJ. Tickets are $10. For more information or to reserve a seat, please contact Chris Retz at Chrisflp@aol.com. 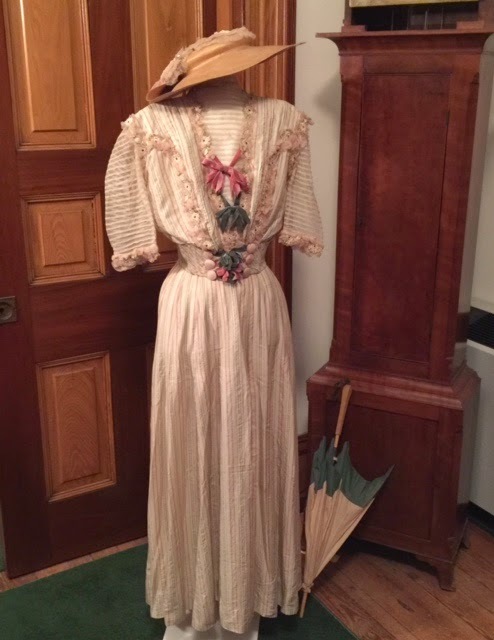 Travel from inn to inn in Victorian Cape May while you try to solve the murder mystery for 2016, "Sherlock Holmes and the Case of Melpomene's Mask" on Saturday from 1:00 - 3:00 pm. $15 for adults, $7.50 for children (ages 3-12). Tour begins and tickets are available at the Washington Street Mall Information Booth. Part of Sherlock Holmes Weekend, sponsored by the Mid-Atlantic Center for the Arts & Humanities (MAC). For more information, call 609-884-5404 or 800-275-4278 or visit www.capemaymac.org. On Saturday at 2:00 pm, the American Labor Museum/Botto House National Landmark proudly welcomes the general public to a book reception and signing event with author Bob Bussel. Professor Bussel will discuss his recently published book, Fighting for Total Person Unionism: Harold Gibbons, Ernest Calloway, and Working-Class Citizenship and will answer questions. Copies of the book will be available for purchase. Light refreshments will be served. 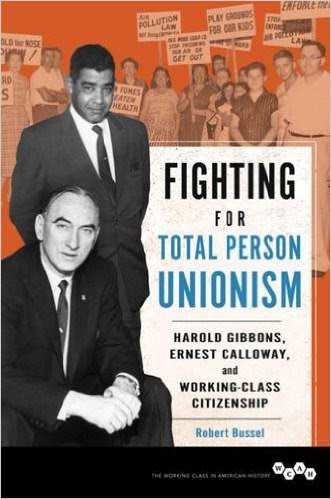 In Fighting for Total Person Unionism, the author tells the story of 1950s and 1960s labor leaders Gibbons and Calloway's pioneering efforts which altered St. Louis' social and political landscape and raised questions about the fate of the post-industrial city, the meaning of citizenship, and the role of unions in shaping American democracy. Bob Bussel is professor of history and director of the Labor Education and Research Center (LERC) at the University of Oregon. 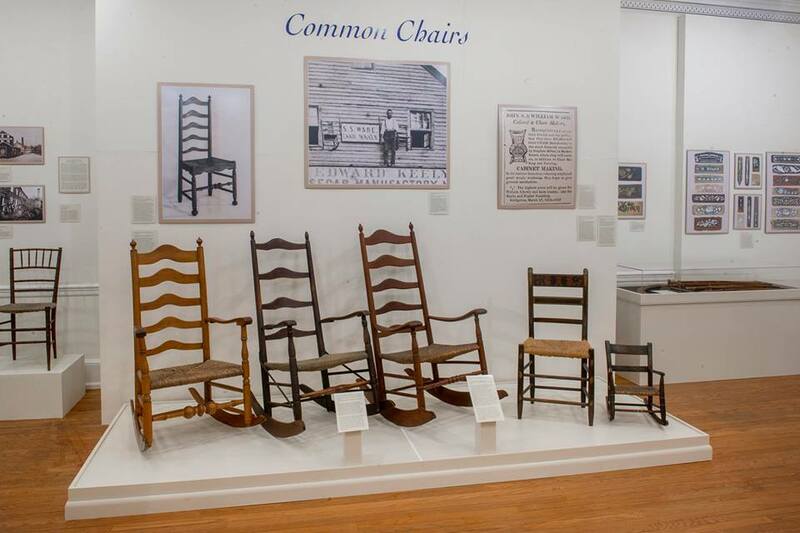 Bob has spent over forty years working with the union movement and played an instrumental role in helping establish the American Labor Museum three decades ago. He has published numerous articles on labor history and contemporary labor issues in both academic and popular publications. "Workers and Their Parade," a photography exhibit by Gary Schoichet, will be on display at the museum on March 19th and will remain on view through April 23, 2016. Tours of the Museum will be available and the Museum Store will be open for browsing and shopping. The Botto House National Landmark, home of the American Labor Museum, is located at 83 Norwood Street, Haledon, NJ. It was the meeting place for over 20,000 silk mill workers during the 1913 Paterson Silk Strike. The Museum's hours of operation are Monday through Friday 9:00 am - 5:00 pm. Tours are offered Wednesday through Saturday from 1:00 - 4:00 pm or by appointment. 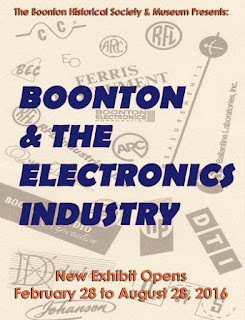 For more information, call 973-595-7953, e-mail labormuseum@aol.com, or visit www.labormuseum.net. The Grover Cleveland birthplace Memorial Association Annual Conference will be held on Saturday at the First Presbyterian Church at Caldwell, on Bloomfield Avenue and Roseland Avenues in Caldwell, NJ starting with coffee and Mrs. Cleveland's Coffee Cake at 9:00 am. The featured speaker and writer is Stanley Haynes, author of the two volumes on the American nominating conventions. The nominating convention having come into being beginning in the 1830s enters the gilded age with many problems, over represented states, shifting political identifications, managed conventions, and no continuing national party organizations. Grover Cleveland would face four of these conventions, twice as incumbent, once as popular vote winner, and once to find the floor charmed with a man who would not see the American workers sacrificed on a cross of gold. After the presentation and questions, visitors can see the artifacts recently uncovered during the excavations for the new visitor center. Lunch is included with the admission. Immediately following the conference, all guests are invited to the birthplace, a block away, to participate in the Annual Birthday Commemoration of Stephen Grover Cleveland. The Grover Cleveland Birthplace is a state historic site, and the structure a national historic site known as the "Old Manse." Stan Haynes is an attorney who writes about Presidential history. Living in Ellicott City, Maryland, he has used his spare time and energy to continue to research in the presidential materials in the Washington and Baltimore area, juggling a busy practice with his calling to tell the story of how America chose its leaders and invented the process we experience today. Stan will sign copies of his books for the shopping public. There is parking in the surrounding municipal lots. The church is handicapped accessible. Suggested donation for the reception, conference, and lunch is $35.00; $15.00 for students. Caldwell is off Routes I-280, I-287 and I-80 and Route 46. The First Presbyterian Church is also an historic site. The graveyard includes the graves of a number of the Revolutionary War and War of 1812 veterans. On Saturday and Sunday, stop by Lusscroft Farm for a Maple "Sugarin" Open House. Observe the "sugarin" process and purchase our bottled maple syrup. Fresh syrup will be available for purchase. The site will be open from 10:00 am - 3:00 pm each day, weather permitting. 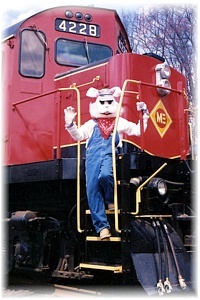 Lusscroft Farm is located at 50 Neilson Road and 4H Trail, Wantage, NJ (Entrance at Route 519 at mile marker 81). For more information, visit www.lusscroftfarm.com. Dudley Van Antwerp (1867-1934) was one of Montclair’s most prominent and prolific early twentieth century architects. His work deserves special attention both because of the great number of homes he designed and because of his individual interpretation of the Arts & Crafts style, which he developed working alongside his wife Hilda Fenn Van Antwerp, daughter of noted Montclair artist and illustrator Harry Fenn. Cultural and design historian Majda Kallab Whitaker will present for the first time highlights of the more than one hundred Van Antwerp-designed homes she has identified in and around Montclair. She will explore his versatility, sense of proportion, graceful detailing, and use of both traditional and modern materials, qualities that distinguish his work and make the homes he designed an important asset to Montclair. 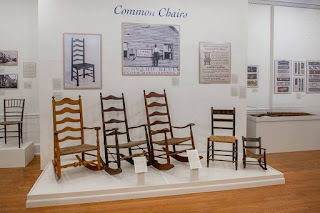 In connection with this lecture, the Montclair Historical Society will remount the exhibition of Van Antwerp’s architectural work co-curated by Ms. Kallab Whitaker in 1994. This event will be held in the program room of the Crane House & Historic YWCA. Suggested donation $5 for the program. Ever wonder what some of your family heirlooms are worth? On Sunday at 1:00 pm, Martine White, ASA, of Bernards Appraisal Associates, LLC, will be speak about current market conditions for antiques and collectibles and invite attendees to present items for group discussion and estimated valuation. Objects for appraisal can include paintings, prints, antiques, china, clocks, crystal, sculpture, figurines, Oriental rugs, silver, and jewelry (anything that can be carried). No coins, stamps, or books. Each participant is limited to three items for appraisal. Admission to the program is $20 ($10 for members of the Jacobus Vanderveer House) and includes a house tour and verbal appraisals. Ms. White, a Senior Certified Appraiser of Antiques & Decorative Arts with the American Society of Appraisers and the Appraisers Association of America, has been appraising personal property in the metropolitan area since 1988. As principal of Bernards Appraisal Associates, in Gladstone, New Jersey, she and her associates provide comprehensive certified appraisal documents for insurance scheduling, relocation, estate tax, charitable donation, damage/loss claims, estate planning, prenuptial agreements and marital dissolution. Her clients include not only prominent families of the Somerset Hills, but major banks and trust companies, law firms and insurance providers. Pre-registration is required and registration is limited. To register, visit www.jvanderveerhouse.org or call 908-396-6053. The Jacobus Vanderveer House will also be open for tours to the general public from 1-4 pm. $10 admission (free to members of The Jacobus Vanderveer House and children 12 and under). The Jacobus Vanderveer House served as headquarters for General Henry Knox during the winter of 1778-79 and is the only known building still standing that was associated with the Pluckemin Artillery Cantonment, believed to be the first installation in America to train officers in engineering and artillery. 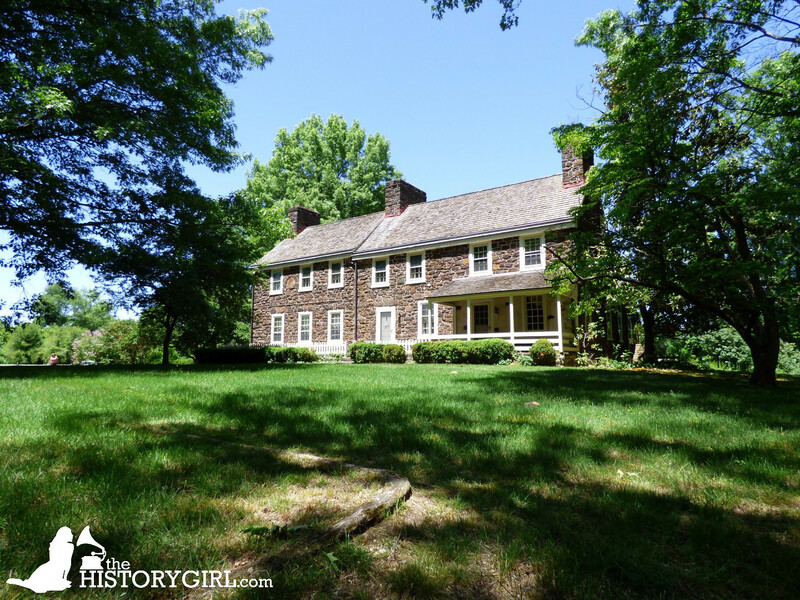 The Jacobus Vanderveer House interprets Dutch colonial life in America as well as the stay by General Knox and his family during the 1778-79 encampment. A National and New Jersey Historic Site, the Jacobus Vanderveer House is a true landmark that offers a vivid look into the history of our country and the lives of those who made it. The Jacobus Vanderveer House is located at 3055 River Road. The entrance to the house is via River Road Park. For directions and more information, visit www.jvanderveerhouse.org. Enjoy a unique historical combination on Sunday, March 20, at 2:30 pm - absorb the beauty of Connecticut Farms Presbyterian Church while listening to experts on Elizabeth's Italian-American neighborhood. 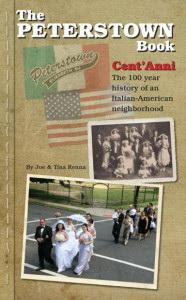 The Union Township Historical Society will host Tina and Joe Renna, co-authors of The Peterstown Book: Cent'Anni (The 100-Year History of an Italian-American Neighborhood) at the Connecticut Farms Presbyterian Church, 888 Stuyvesant Avenue, Union, NJ. The presentation will take place in the sanctuary of Union's historic CFPC, as part of the UTHS meeting, which will begin at 2:00 pm and to which all are invited. People of every ethnicity can relate to The Peterstown Book's universal themes-the struggles and triumphs of families striving for the American Dream, which they achieved through hard work, commitment to strong values, and dedication to their church. It's the story of many generations who made Peterstown their home. Join us for refreshments afterwards, meet the Rennas, and, perhaps, purchase an autographed copy of their book - which they are discounting at this event from $45 to $25! Plus, for every book they sell there, Tina and Joe will donate $5 to the UTHS. The admission fee of a $5 donation will help the UTHS preserve its headquarters, the Caldwell Parsonage Museum. 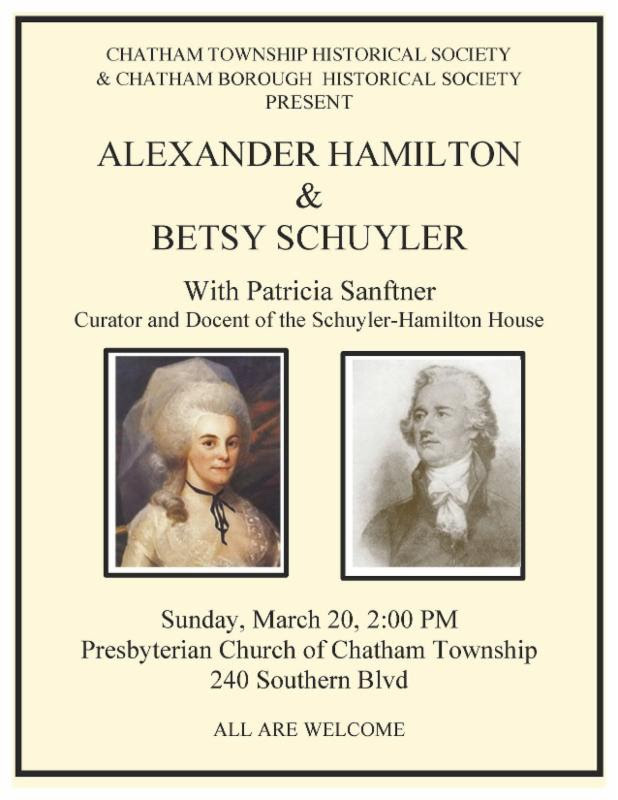 For more information, call Barbara La Mort at 908-687-0048 or visit http://uniontwphistoricalsociety.webs.com. The Heritage Trail Association will sponsor “Stranger Stop and Cast an Eye: an Introduction to New Jersey’s Historic Burial Grounds,” on Sunday at 2:00 pm at the Van Horne House in Bridgewater. It will be presented by Richard Veit, Ph.D.
Far from being scary, spooky places, New Jersey’s historic burial grounds are treasure troves of information for historians, genealogists, archaeologists, and art historians. This illustrated presentation examines New Jersey historic burial grounds from High Point to Cape May. It begins with the earliest surviving gravestones in the state, examines the artistically carved gravestones employed in colonial New Jersey, the fanciful markers of the Victorians, and concludes with some modern artistic marvels. The graves of heroes and villains, rogues and patriots are all examined. Richard Veit, Ph.D. is the Chair of the Department of History and Anthropology at Monmouth University. He directs Monmouth's annual archaeological field school and is the author of several books on topics in New Jersey and regional history and archaeology. This is a free event, but reservations are required as space is limited. Doors will open at 1:30 pm for this 2:00 pm program. The Van Horne House is located at 941 East Main Street, Bridgewater, NJ. Parking is available behind Target. Handicapped parking available in the Van Horne lot. Reservations are required. 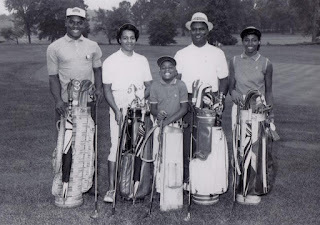 Register by calling 732-356-8856 or online at www.heritagetrail.org. In the public sphere, Eleanor Roosevelt exuded a zest for life and carved out a career and reputation as First Lady by championing the equality of people of all nations. Through her efforts the world began to look anew at human rights and equality. She soon became known not just as First Lady of the United States, but rather, as First Lady of the World and is considered the prime architect of the United Nation’s Declaration of Human Rights. Though she fought on the world’s stage to improve the lives of others, she struggled in the shadow of her famous husband, and in her privates roles as wife, mother, and daughter, she suffered much personal pain and disappointment. Philadelphia based actress and vocalist Rene Goodwin studied at the London Academy of Music and Dramatic Arts, has performed in a stand-up duo, and serves as a musical mentor for the Philly Pops. She joined the well-known American Historical Theater in the 1980’s where she developed a trilogy of presentations on Eleanor Roosevelt’s life and has gone on to portray other historical figures such as Dorothy Parker and Golda Meir. Goodwin has appeared at numerous venues such as the White House Visitor Center, the Theodore Roosevelt Museum, the National Archives, and the Freedoms Foundation of Valley Forge. 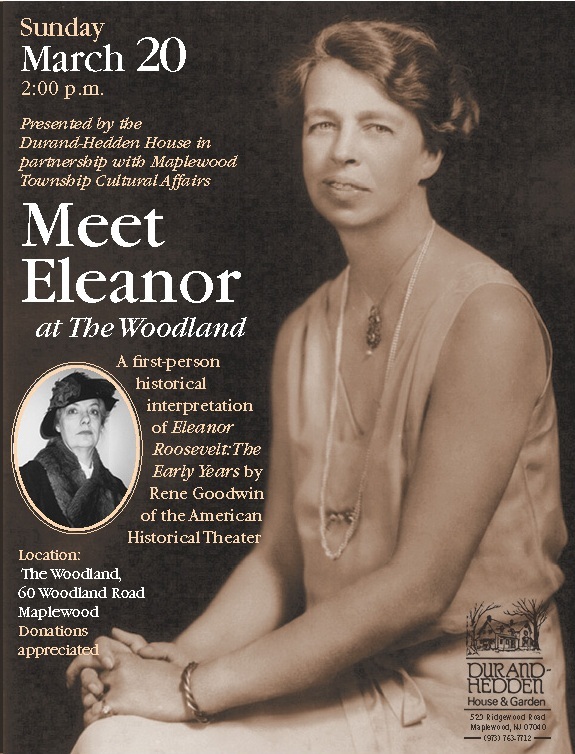 The performance is free (donations appreciated) and is presented in honor of Women’s History Month in partnership with Maplewood Township Cultural Affairs. Doors open at 1:30 pm at The Woodland, 60 Woodland Road, Maplewood, NJ. The Tewksbury Historical Society will hold its 2nd meeting of 2016 on Sunday at 1:00 pm at Society Headquarters, 60 Water Street, in the Mountainville section of Tewksbury Township, weather permitting. Former Tewksbury resident and native Ken Vliet, now of Danielsville, PA, will speak on the "Tools and Implements of the Vliet Farm." Ken Vliet was born and raised on his family's farm, located on Vliettown Road, next to the intersection with Black River Road. Ken will talk about items used to maintain buildings and equipment as well as implements needed for growing and harvesting crops. Tools and miniatures will be used in explaining methods and techniques. Today, the farm is owned by Jennifer Johnson Duke and it still an active farm, having dairy cows and field crops. Membership in the society is open to anyone interested in the history of Tewksbury Township. The cost is $ 15 annually for an individual membership or $ 25 for a family membership. Members receive via email a quarterly newsletter and advance notice of all programs and events the Society holds throughout the year. The Society holds three regular meetings per year on the 3rd Sunday in January, March, and May with a 4th program in November. 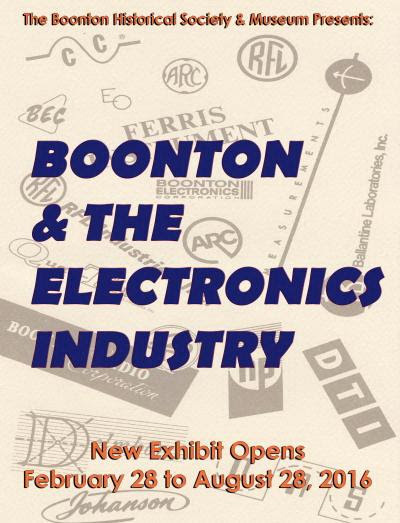 For more information, call (908) 832-6734 and leave your name and phone number or e-mail tewksburyhistory@earthlink.net. Cooking on the Open Hearth requires quite a different set of cooking utensils. Learn what you need to bake bread, make toast, and boil eggs in the hearth on Peachfield on Sunday. Find out the purpose of a trammel, a crane, a salamander, and a skimmer. Tours of the house are available at 12:00 noon and 2:00 pm. Admission is free. A free will donation is welcome in support of the museum. Reservations are recommended. Peachfield is located at 180 Burrs Road, Westampton, NJ. For more information and to register, call 609-267-6996, e-mail colonialdamesnj@comcast.net, or visit www.colonialdamesnj.org.